If you’re looking for a simple and delicious way to introduce more fruit and veg to your diet, the NutriBullet 900 Series is your go-to gadget. The power blenders are the perfect way to boost your intake of vitamins, minerals and antioxidants to help your body to perform at its best. 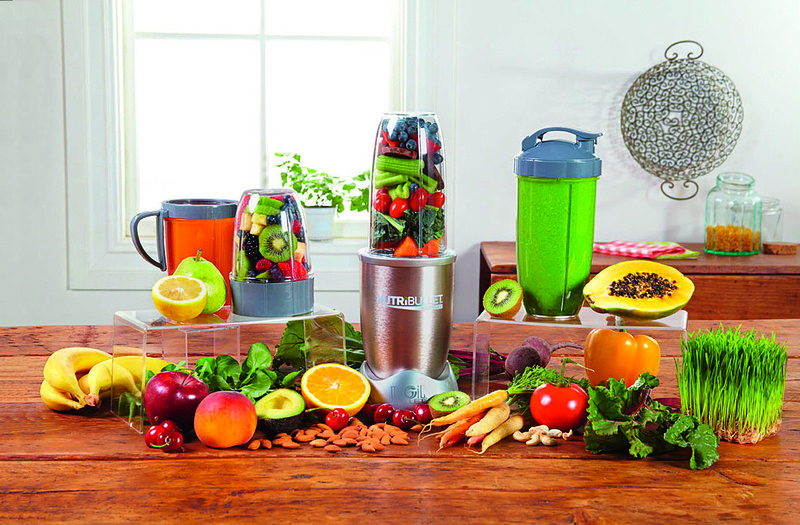 We’ve five NutriBullets, worth £99.99 each, to be won. With 50 per cent more power than the original NutriBullet, the extractor blades and cyclonic action generate enough power to pulverise even the toughest stalks and skins completely. This means you get a smoother drinking experience while retaining all the nutritional goodness from the ingredients. Available in an exclusive Champagne finish, the sleek design makes a chic addition to your kitchen worktop. What’s more, it’s a doddle to clean – simply rinse under warm water. Whether at home or on the go, it’s a great way to help you to lead a healthier, happier lifestyle. It’s a way to get healthy. This great prize would encourage my efforts at healthy eating! Wonderful prize just what I need to replace my existing blender which is no longer up to the task. in the magazine it says enter online. online it says fill in form or ring, which is right. same for ragdale competition. Hi Rita, the same text appears in the magazine as online. You can enter online, fill in the form or call us. Good luck. However we try, we never seem to eat enough fruit and veg, so this would be absolutely ideal. Such a delicious way of helping towards our fruit and veg quota – absolutely ideal. Get family to have 5 fruit and vegetable easily. An easy and delicious way to have 5 a day! The Nutribullet 900 would be a great asset to my family who are all either vegetarian or vegan. Just the thing to make sure of my five a day. Fingers crossed. Bought one for my Son last Xmas uses it all the time …I want one !!! Would definitely help with my husband slimming world diet, h e’s nearly lost 5 stone!